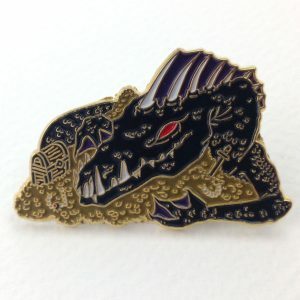 From the shadowy waters of the Amazon comes this prehistoric amphibious beast – the Creature! 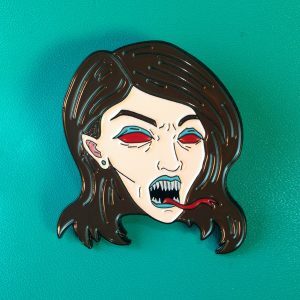 Surviving since the Devonian era, this rare species protects its natural habitat with claws, fangs, and superhuman strength. 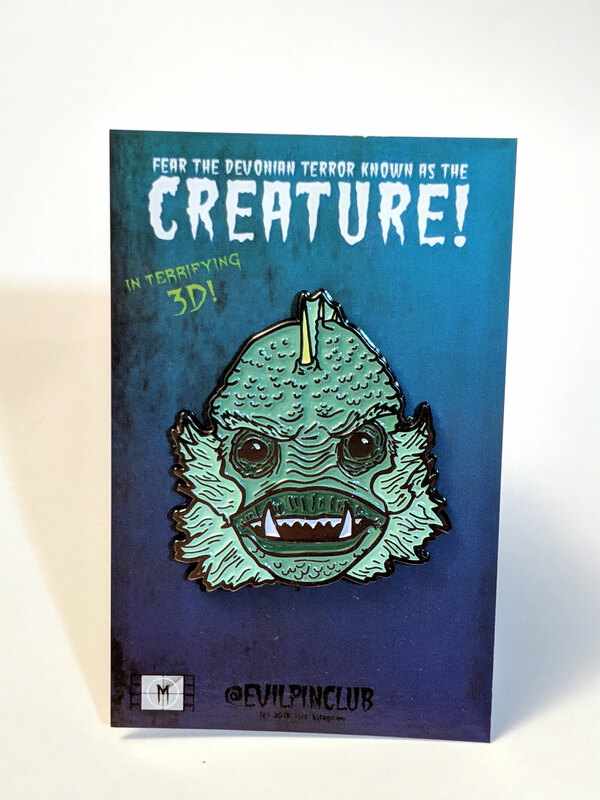 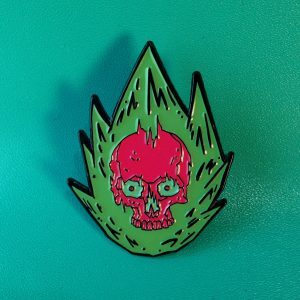 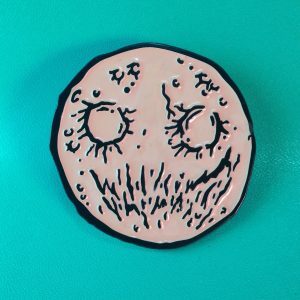 Part of the Classic Movie Monsters collection, this Creature variant pin also glows in the dark! 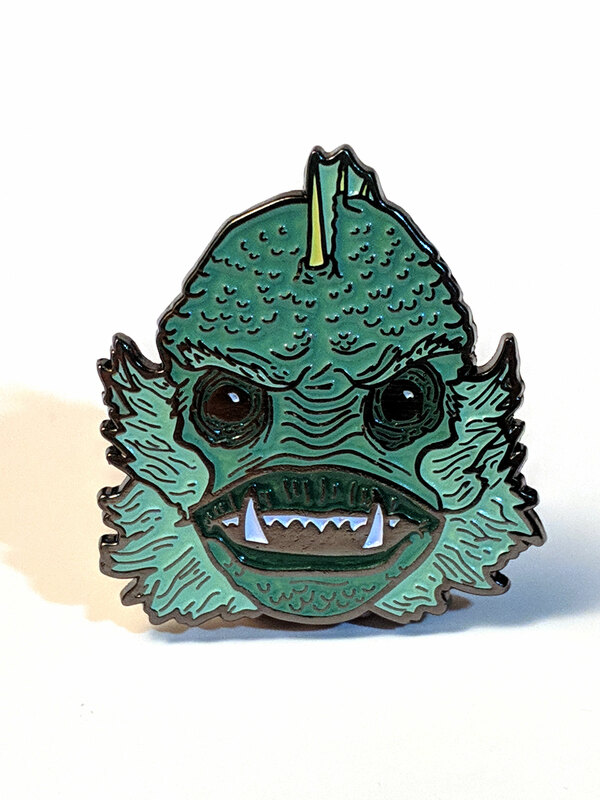 This variant pin features softer aqua hues rather than the traditional swamp green of the Creature pin.